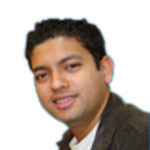 C S Sudheer is the founder and CEO of IndianMoney.com – India’s largest Financial Education Company. He holds a strong vision to serve the nation by spreading financial literacy and promoting financial inclusion. Being a university topper Sudheer always aspired to achieve big in his life. As a first step, he joined the insurance industry wherein he witnessed numerous instances of mis-selling practices. In the year 2008, while serving as the Regional Head of a leading broking house he met an auto driver who was brutally misled by an insurance agent, resulting in the loss of his lifetime savings. This was when he decided to start a financial education company at the tender age of 22 to curb unscrupulous sales practices rampant in Indian Financial Services industry. Ever since, he has taken up this mammoth task of educating common man on various financial products in a simple and easy to comprehend language. It helps them with easy to consume capsules of financial education so that they are not cheated by any of the intermediaries. Sudheer has immense passion for writing. He has authored the book ‘Love Beyond Death’ which takes the readers on a journey full of introspection and inspiration. Through the book, he attempts to showcase to the people the importance of securing their loved one’s future by prompting to buy Life Insurance policies according to their needs. A distinguished orator, Sudheer has been the speaker at RBI’s Digital Banking Conference and Mint's Fintech Conference. He was invited by the World Bank to attend World Bank's Fintech CEO's Summit in Washington DC. He is the host of several TV programs like ‘The Wealth Doctor Show’ on India’s leading English news channel Times Now, ‘Money Doctor Show’ on CNN IBN and News 18 Kannada. His columns ‘Money Maathu’ in Vijayavani and ‘Money Guide’ in Vijaya Karnataka are very popular. He is also the member of the Board of Studies of National College, Bangalore. Sashi Reddi, the Founder and the Managing Partner of SRI Capital, is an entrepreneur, venture capitalist and a philanthropist. He holds Bachelors of Technology in Computer Science and Engineering from IIT, Delhi. He is MS in Computer Science from Courant Institute of Mathematical Sciences at New York University. He has also obtained a PhD in Operations and Information Management from University of Pennsylvania. Sashi also serves on the advisory board of Wharton Entrepreneurship, board of Ben Franklin Technology Partners, as well as on the board of T-Hub, India's largest incubator for start-ups. He is a charter member of TiE Philadelphia and TiE Hyderabad. Recently, Sashi was appointed by the US State Department to be on the board of the US India Science and Technology Endowment Fund (USISTEF) that grants money to social impact startups. 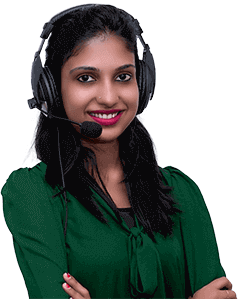 Previously, Sashi was the founder and CEO of AppLabs, which is the world's largest independent software testing company with over 2,500 QA professionals in India, the US, and the UK. AppLabs was acquired by Computer Sciences Corporation (NYSE: CSC) in September 2011. A serial entrepreneur, Sashi has also started three other companies prior to AppLabs namely, EZ Power Systems, iCoop and FX Labs (leading Indian game developer acquired by Foundation 9 Entertainment). Ravindra Krishnappa is the founder of VertExperts Consulting LLP, a firm that invests in start-ups and incubates new companies. 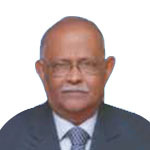 He is the Director of Suvision Holdings Private Limited since May 2011. 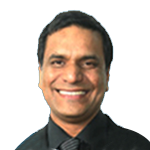 Ravi, a highly defining leader who has experience in different facets, is an expert in global ERP implementation. Currently, he is the CEO of CollateBox and the board member of several startups. 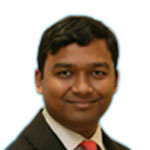 He has also worked as an Executive Director - Oracle's off shore consulting solution services India. He is the trustee of Sikshana, an NGO for empowering Government Schools in India. 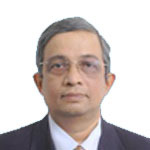 He also serves as an Advisor at Valgen Infosystems Pvt Limited. Ravi is the Co-Founder of Inatech Infosolutions Pvt Ltd. His special professional interests include Business and strategy consulting, application of new technology and change management. Since 2010, he has been working to develop the Entrepreneurial eco-system, particularly in incubating ideas and working with early stage startups and mentoring them. He is also the Executive Director at FW Sports and Media India Private Limited. A Trustee at several NGOs working on causes ranging from education to public transparency. Ms. Shweta Singh is the Co-founder and Managing Partner of an Investment firm Sol Primero Advisory LLP. She holds MBA Operations and Entrepreneurial Management from The Wharton School, University of Pennsylvania. She is a Board member for startups like LetsMD, Sportsflashes. She has also worked as Associate Vice President, Operations for Zomato and as Vice President for Lumis Partners. Currently, she is associated with SRI Capital as Principal. Mr. Pradeep Mittal started his career as a software engineer at CMC Ltd. and he has continued to work as a software engineer for over 12 years. During this time he amassed a huge wealth of knowledge and experience. He co-founded MagnaInfotech, USA, where over the course of 16 years, made it the leading provider of technology staff augmentation and solutions in the Indian subcontinent. Now he is the chairman of Hyderabad Angels, through which he invests and advises to various startups including Goose Technologies, TIF Hyderabad, Thrillophilia.com, GreyCampus (WinzestEdutech Private Limited), Indianmoney.com and Truthlabs. He holds a Bachelor's degree in Electronics and Communications from Jawaharlal Nehru Technology University, India and a Diploma in Management Information Systems from Indian Institute of Science, Bangalore, India. 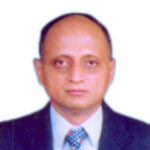 Dr. Shekhar Kirani is a partner at Accel Partners, a global venture investment firm. He has headed the Indian operations of VeriSign Inc., the global internet infrastructure security company, where he oversaw and aligned VeriSign's India operations with the company's global corporate strategy. Dr. Kirani is a PhD from University of Minnesota, after his M. Tech with IISc, Bangalore. He has more than 15 years of experience in the telecommunications and wireless industry. 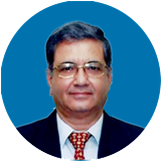 Mr. Ramanand Baliga has over 35 years of rich professional experience in the IT industry. 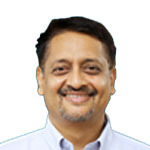 He has led Operating Systems and Networking divisions of India Software Lab of IBM, handled important roles in IBM as Director, (Delivery Excellence) and Director (Integrated Operations). Previously, he was Engineering Manager at Hewlett Packard India (India Manufacturing Operations), and Head of Research and Development for mini computers at DCM Data Products, New Delhi. 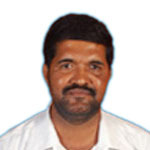 Mr. Baliga has a Master's degree in Computer Engineering from Indian Institute of Technology, Kanpur, (1977) and Bachelor's degree in Electronics & Communication Engineering from National Institute of Engineering, Mysore University (1975). G. Narayanan served as Chairman of Vijaya bank and Executive Director of Indian Overseas Bank among others during his illustrious career spanning over 38 years in the Indian Banking Sector. He was earlier General Manager at Bank of India, heading treasury operations. Shri Narayanan also served as Managing Director of Centrum Capital Ltd. and Managing Director of Securities Trading Corporation of India Ltd. He was Director of Clearing Corporation Of India Limited (CCIL). He served as Director of IL&FS Investment Managers Limited and Securities Trading Corporation of India Ltd.
Shri Narayanan holds a Diploma in Corporate Law. He has done his bachelor's in commerce from Madras University. Mr. T. V. Rao has been Non-Executive Independent Director of LIC Housing Finance Ltd. Mr. Rao served as an Independent Director of LIC Housing Finance Ltd. Mr. Rao is an Associate Member of Indian Institute of Bankers and is a career Banker with specialisation in Corporate Finance, Treasury Management and Mortgage backed Securitisation. In his career spanning over three decades, he has experience in general banking, corporate finance and Treasury Management. He has headed the Treasuries of National Housing Bank, SIDBI and Exim Bank. In his present assignment, he spearheads Exim Bank's activities related to capacity building and value addition in international trade through focused seminars/ programs on a gamut of issues; net working with National and International agencies connected with foreign trade. Mr. Rao has widely travelled representing the institutions he was working from time to time and participated in various international seminars on topics like Mortgage backed Securitization, Derivative Products, Structured Finance etc. He is a member of the International Trade Committee of the Federation of Karnataka Chambers of Commerce and Industry and also the EXIM Bank's nominee on the Board of NATCO Pharma Ltd., Indus Medicare Ltd., Hyderabad, BMM Ispat Ltd., Bangalore, Independent Director on the Boards of LIC Housing Finance Ltd., Mumbai, Electronica Finance Ltd., Pune, Can Fin Homes Ltd., Bangalore and Public Representative Director on the Board of BgSE Financial Services Ltd., Bangalore. 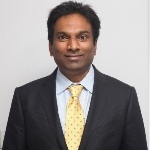 Srini Koppolu has many years of experience in developing innovative products, driving global R&D initiatives, building large scale organizations from grounds up. He was involved in many strategic initiatives his career at Microsoft, and holds more than 20 global patents. He set up Microsoft India Development Center (MSIDC). In 12 years, MSIDC evolved from a start-up to Microsoft's largest product development center outside of US with 1600 plus employees developing core products and technologies. After Microsoft, he started advising and investing in start-ups, and also played a key role in creating Hyderabad Angel Network and became the first President of Hyderabad Angel Network. 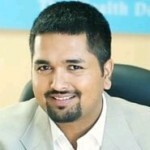 He is also the Founder & Executive Chairman of Veooz Labs (which was formerly SETU Software Systems) developing veooz.com. B M Pounacha is a Real Estate Expert with experience in consulting and transactions. He currently is the Managing Director - Transactions for Ziplify Realty (A Full Service Real Estate Firm) and also the founder and CEO of Real Estate Heroes - India's First Real Estate Coaching company. He holds a directorship in The PinkApple Studio (an award winning product interior company). He is a Civil Engineer with an MBA in Marketing from the University of Mumbai. He is a member of the Indian Institution of Valuers and an Approved Valuer and has also attended various valuation seminars including one conducted by RICS.